Just as growing plants need special nutrients and a healthy environment in order flourish, your pastor’s wife needs four special ingredients from you in order to thrive in your church. When pastor’s wives are asked to list the drawbacks they experience in the ministry, the number one complaint is always loneliness. Being “lonely in a crowd” is often a reality for pastors’ wives. However, it does need to be said that her problem may not stem from the people within your church. She may be bringing baggage from a previous experience with another church and you are getting the fall out while she works through her pain. She may come from an old teaching platform wherein pastors were warned not to get too close to the people in their congregation because of being thought to have favorites. She may be fighting shock at the new culture in which she finds herself. Ask her if she’d like to join your scrapbooking group. Share tickets to concerts and plays, taking her along on a night out. When you are together do not talk about the church, instead relax and converse about female interests you both enjoy. She probably does not have a theological degree and doesn’t really care if you’re pre-, mid-, or post-trib. Everyone is gifted by God for special work in His kingdom. Don’t assume this pastor’s wife will have the same gifts your previous pastor’s wife did. I can almost guarantee that she will not. If it helps you release expectations, remember that the term pastor’s wife doesn’t occur anywhere in scripture. 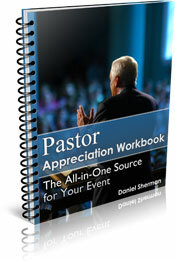 God doesn’t have a particular list of qualifications for her like he does for deacons or pastors. So give her freedom (and time) to find where her niche will be. You have every right to expect your pastor’s wife to be loyal to your congregation. Therefore, she has every right to expect loyalty from you. Disloyalty shows up in gossip. Do not listen to, pass on, or allow someone to gossip about your pastor’s wife in your presence. Go out of your way to build her up verbally. And if you are chosen to be a confidant to the pastor’s wife, do not ever flaunt your position of trust before others. Listed last, but the most important, prayer is an incredible force for change. When you see needs she isn’t aware of, when you sense she’s under a burden but know she won’t reveal her pain, pray for her. Every day pray for her and her family. When there are rough patches in the ministry, I can tell you from experience, we can physically feel prayer holding us up. The difference this support makes is the difference between a flourishing pastoral family and one who crashes and burns. In summary, the best way to treat your pastor’s wife is by the age-old Golden Rule: treat her as you would like her to treat you. Janice Hildreth and her husband, Michael, have three adult children and have pastored for 32 years. They currently pastor Victory Church in Garden City, Idaho. She is the author of four books. 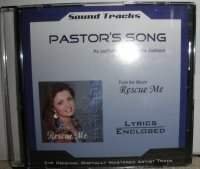 To see them, go to her web site, PastorsWife.com or Amazon.com.